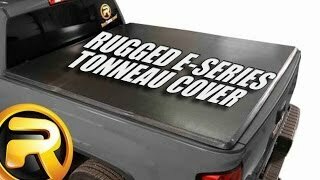 Preserve your cargo with the easy to use Rugged E-Series tri-fold tonneau cover. This cover is perfectly designed to keep out prying eyes and weather. The Rugged E-Series tri-fold is designed with a durable tear-resistant vinyl supported by an aluminum frame that allows heavy rain or snow to simply slide off. Fully surrounding this aluminum frame is a seal that prevents moisture from entering the bed. When the cover is open all the way, it has fastening straps that will keep the cover secured while driving. 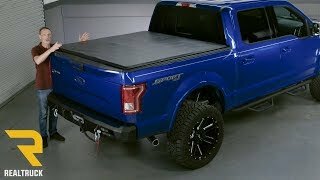 The Rugged E-Series tri-fold tonneau cover comes fully assembled and installs without tools in less than five minutes. With the quick latch system it will only take you a few seconds to open it up, so you can stow your cargo. 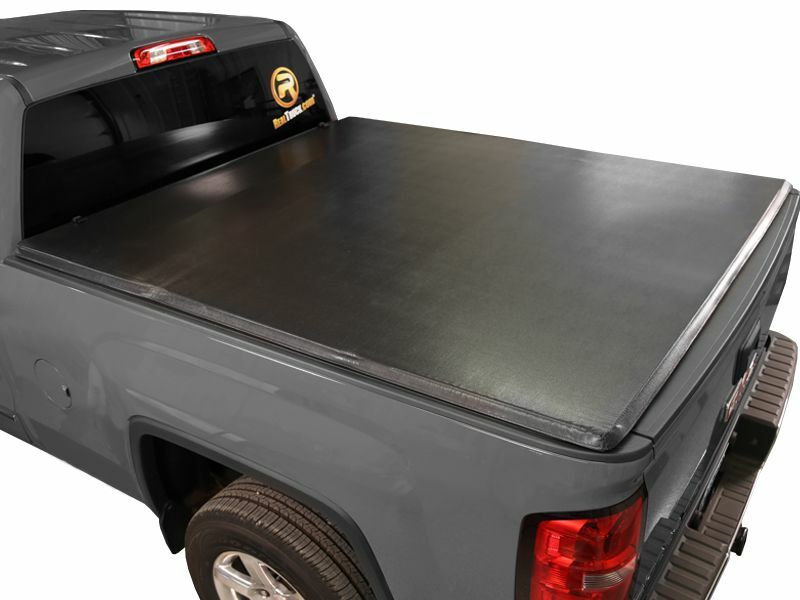 Rugged backs this truck bed cover with a limited lifetime warranty, so you are covered as long as you own it. Rugged Liner is offering a lifetime warranty on the E-Series Tri-Fold tonneau cover. purchaser and a proof of purchase is submitted. The above warranty shall apply only if all of the following conditions are met. A. We will not warranty an E-Series Vinyl Folding Cover that comes off the truck while driving. Vinyl Cover cannot be replaced. Call Customer Service for replacement parts cost. Periodically check your clamps for proper tension and make sure they are clamped down before traveling. 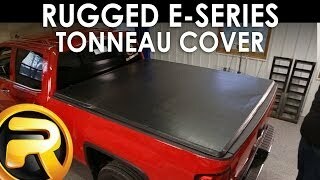 The Rugged Cover E-Series Tri-Fold tonneau cover is an easy installation. 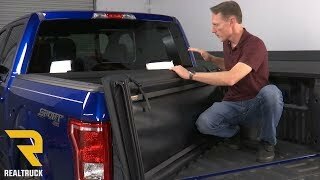 Simply place the cover on the front of the truck bed, secure front clamps, unfold tonneau cover, and secure rear clamps. For additional information please call us at 1-877-216-5446 or 701-253-5906.